Experience a new and engaging MyVSU portal designed with YOU in mind. Welcome BLAZERS! Learn how to set-up and access your VSU accounts. 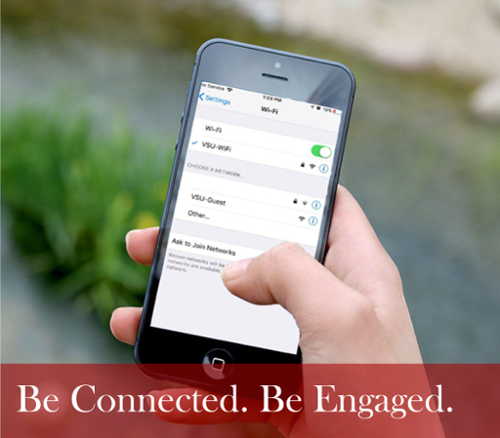 Connect your devices to VSU's fast and expansive wireless network. Clear your web browser’s cache before using Degree Works after the maintenance period has concluded. Organizational Print Accounts: Used primarily for official student organizations to share a pool of print credits. This form can also be used for grants. This past fall, we launched a completely new and updated version of the MyVSU Portal. Many of you provided valuable feedback on how could improve the look and function of the portal. As a result we ask that you test a beta version of the suggested changes and provide even more feedback. VSB helps you to create a schedule based on the courses and times that work best for you. This real-time class scheduling tool arranges your selected courses into conflict-free timetables and displays them in an easy-to-read weekly schedule. The new Ellucian Banner 9 Admin Pages will be deployed on October 22, 2018. The 2018 Division of Information Annual Report is now published. The report highlights several impactful projects completed during the 2017-2018 fiscal year, upcoming projects, and the staff within IT that help make the VState experience possible. VSU WiFi Upgrade: The Division of Information Technology is proud to announce that, while supporting over 3.2 million square feet of coverage, we have increased the bandwidth for the campus residential network by 150% (from 2 gigabits per second to 5). 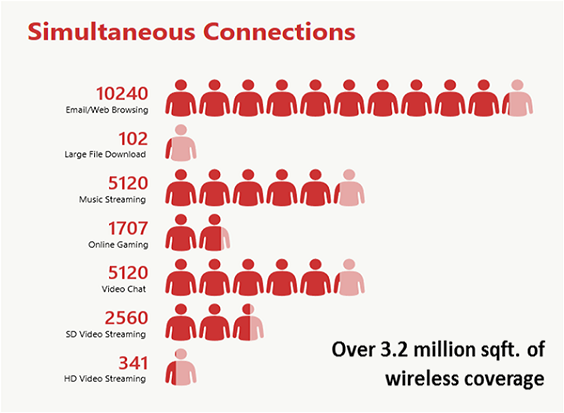 This increase will provide faster and more reliable connectivity for academic and residential needs while also adding support for high-definition (HD) media streaming and increased simultaneous connections. Thinking outside of the 'IT box' brought about the inception of Valdosta State University Solutions Center. Talks about how the Solutions Center has impacted perspective and current students. From a student to a leader who encourages staff and student techs to EAT! Check here for current IT employment opportunities! This position provides effective and prompt support for over 4,000 computers in the office, classroom, lab environment at VSU. Along with the responsibility of management and direction of technology within the classroom, lab, and office environment, the director of TSS is responsible for the direction and management of 3 desktop service centers, classroom support, inventory/licensing, Help Desk and TRU Center. Supervision and management of 18 full time staff that oversee 25-35 student employees each business day. The director of TSS job duties cover Tier-1 and Tier-2 support for on-campus students in the residential areas. This includes providing wireless support, gaming console, desktop, laptop, and application troubleshooting services. This position is responsible for the development of innovation and design of 235 Smart Classrooms and 95 labs. The director of TSS is also responsible for an $800,000 annual budget that provides faculty/staff PC distribution for the campus and innovative classroom/lab technology upgrades. Student assistant will be responsible for developing and distributing quality content through a variety of mediums and channels, offering customer training and technical support for on-campus supported software and hardware, supporting supervisors, participating in projects supporting the mission of the university and division, and seeking and pursing opportunities for related personal skill growth. Shifts range from 8:00 AM to 5:30 PM Monday through Thursday and 8:00 AM until 3:00 PM on Friday. Has an IT staff provided exceptional service to you? Submit an I Caught You Caring Card!